Bikes are sold fully assembled and ready to ride. If you purchased a bicycle online and want it delivered then, bike would come in a box and 85% assembled so not that difficult to setup. Custom designed Chromoly 4130 (Cr-Mo) frame and fork, Colour: mattest of matte black. Size medium - mountain bicycle size (height of the seatpost tube is 18 inches- 47cm). Bikes geometry and strong chromoly frame would suite riders who are 5' 2” to 6' 2" tall. This is a unisex frame. Shinano Altus 8 speed gears with Rapidfire shifter pod, 11T - 34T Cassette(34T is super good for hills) with Shimano chain and bottom bracket. 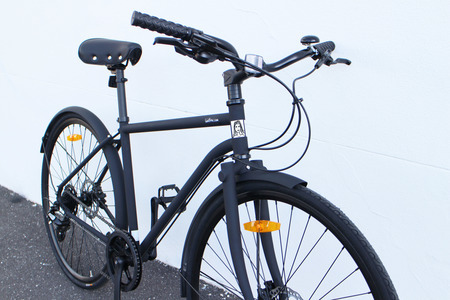 This is a unisex bicycle. Designed in Fitzroy, Melbourne, Made in China. New bicycle Improvements compared to the older model. 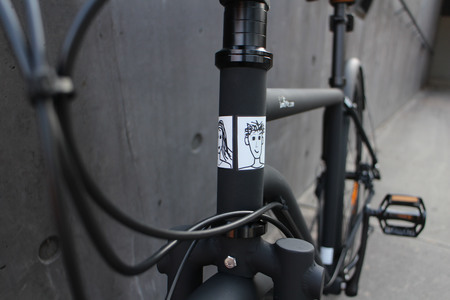 ~ Touring compatible frame. Modern frame with 1 piece dropout that would give a firm sturdy ride. ~ Wheels with Weinmann rims. Much stronger and durable wheels. 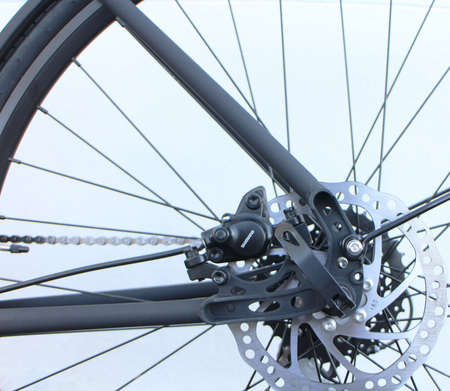 ~ The latest Shimano BR-MT200 hydraulic disc brakes. ~ 11T - 34T Cassette - Shimano Altus HG31 8speed would give a greater range of gear options. ~ Integrated safety mount on the fork. This is a well made sturdy bicycle that comes with ultra strong lightweight Chromoly frame and a fork that would absorb road vibrations. And also you get a good quality Shimano- 8 speed gear-set. Plus Shimano hydraulic disc brakes for supper fast effective braking. Most of the parts are made with light weight alloy. This is low maintenance bike. The bicycle has latest in Kenda Puncture Resistant road tyres and tubes. Well made parts. plus with the warranty, you are in good hands. The frame and the fork it is made with high quality lightweight Chromoly 4130 (Cr-Mo) . Chromoly is the workhorse of steel and is a mix of steel with Chromium, Molybdenum, Carbon, Manganese, Sulphur and Phosphorus. Thanks to its composition Chromoly frames are not as rigid as steel or alloy and absorb road vibration. Also the frame would last a very long time. 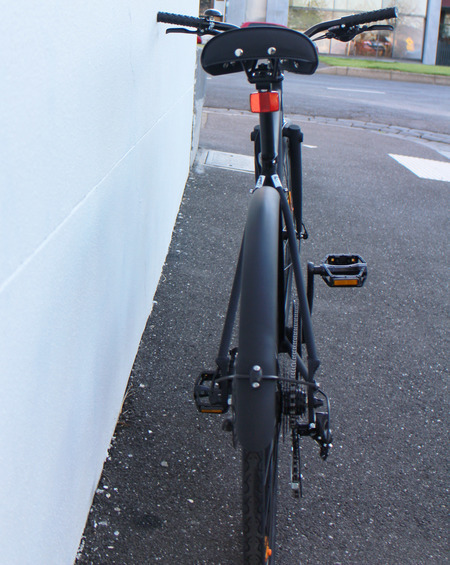 With mudguards, the stand the bike would weigh around 12.5 KG. It has a very custom designed fork. It is super strong and sturdy with inbuilt safety features. 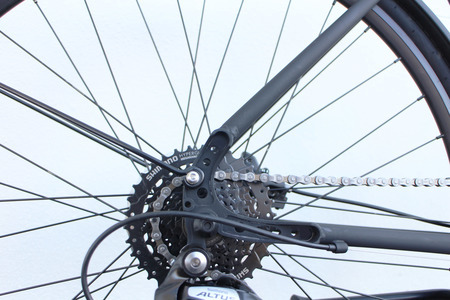 These integrated dropouts assists the frame to be stronger and sturdy. These dropouts would normally be installed in touring bicycles. They assists in keeping the wheel in once place. This leads to effective disc brake utilisation. The welding on this bicycle is world class and please come and have a look at it closely. Some parts cannot even see the weldings, it is that well-done. Shimano Hydraulic Disc brakes. Yes, they are Shimano and Hydraulic and went beyond my limits to get Shimano brakes installed and offer for that price. They are very good in quality, responsive also durable. Shiamno BR-MT200 with with ALTUS BL-MT200 Lever. These brakes are very responsive in rain, really low maintenance. They automatically adjust the pads as you ride as well as pads wear over time. Cable runs with mineral disc brake oil and has three finger lever. Cassette, Shimano Shimano Hyperglide with Megarange 11 - 34T Teeth. This gear ratio is an excellent range of gears for day to day city riding, fast or climbing. Tyres 700C x 28C, Kenda (inflatable up to 85 PSI). Tyres comes with Puncture Resistant internal kevlar belt so less hassles when it comes to punctures and tires being cut by glass. These tyres has street hugging semi slick tread pattern so this is ideal for road riding and bike paths. 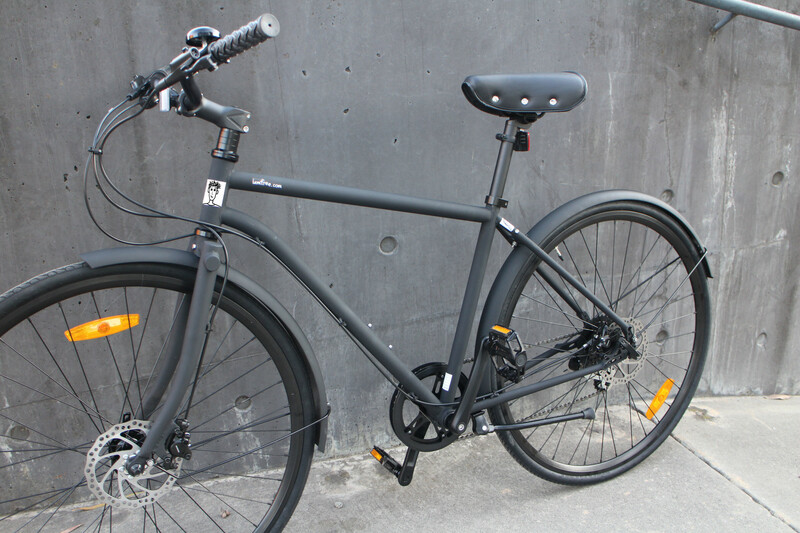 Spokes: Stainless steel, 14G - matte black. 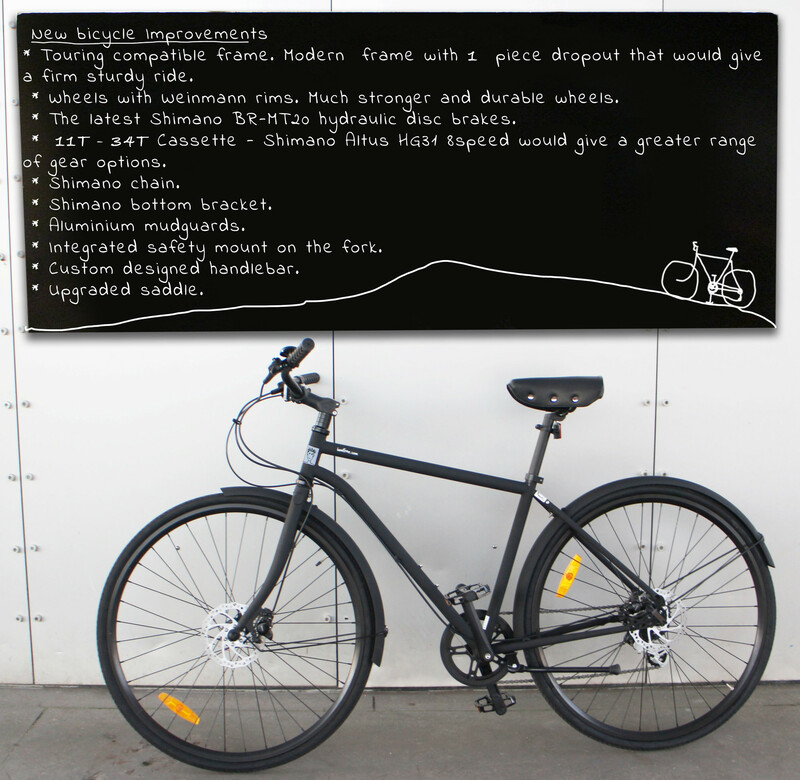 This bicycle comes with 14 mounts for mudguards, bottle cage and rear rack. The bike comes with mudguards and a stand. ~ Aluminium stylish mudguards - with fully adjustable and bendable mudguard stayers. These mudguards are super light weight. Very well understand that you like to be treated with respect and gratitude for purchasing a bike from this humble workshop. Saying that if there is a mechanical failure you would be covered under a 1 year warranty. This includes gear system, brakes as such. Other consumable items such as tyres, tubes, brake pads are not covered under this warranty. The frame is under 2 1/2 years warranty. Also other than the above warranty you are covered under consumer guarantee rights under Australian consumer law. Would honour your rights fully.